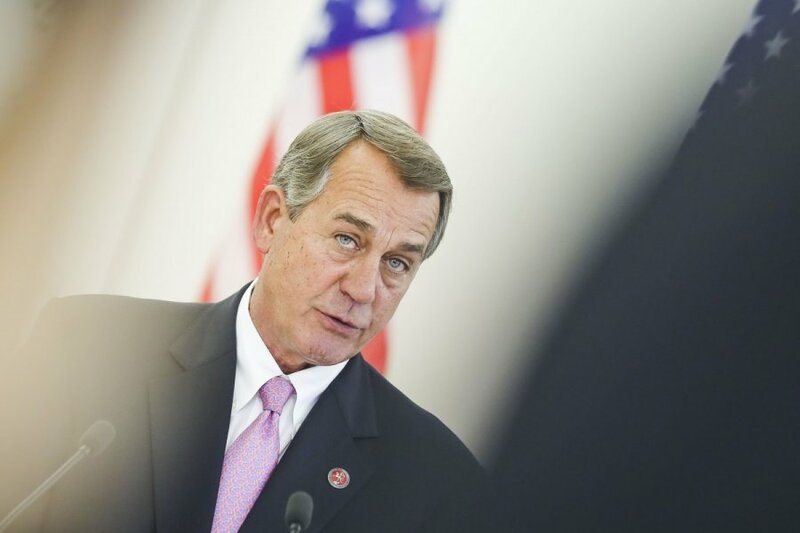 Boehner in Vilnius: US supports Lithuania's "enduring struggle with some neighbours"
The United States supports Lithuania's "enduring struggle with some of your neighbours", Speaker of the US House of Representatives John Boehner said in Vilnius on Monday. "We've had a really very nice visit to Lithuania. I've learned a lot about the challenges that your country faces and committed our support to the Lithuanian people and this enduring struggle with some of your neighbors," he told journalists after looking around the January 13 Memorial outside the parliament building. "It's a very important event in Lithuania, a very important visit. It shows the US is concerned about our region. The US has always been a partner that supports us in difficult times. We discussed a lot of issues related to security, energy, foreign policy, and we really hope that our cooperation will grow stronger after these meetings," Speaker of the Seimas Loreta Graužinienė told journalists after a meeting with Boehner. Asked whether the threat of Russia's possible attack was discussed during the meeting, Graužinienė said members of the US delegation "expressed concern". "The speaker saw how close Kaliningrad was, how close the border was, and they are well aware of the existing technical and military capabilities on the Russian side in case of a conflict, and they really expressed concern," the Lithuanian speaker said. Boehner and seven members of the US Congress spent three days in Lithuania.